I love when babies hold on to the bra! Sitting up to nurse, but still falling asleep. Still going strong at 16 months! 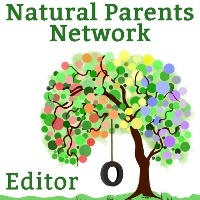 Check out MORE adorable breastfeeding photos and link up your own Wordless Wednesday post at Natural Parents Network! 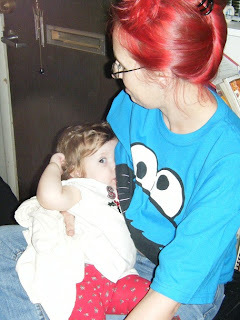 Guest Post on Hobo Mama today! World Breastfeeding Week is Here!